Volkswagen is not stomping the Beetle out of its lineup. 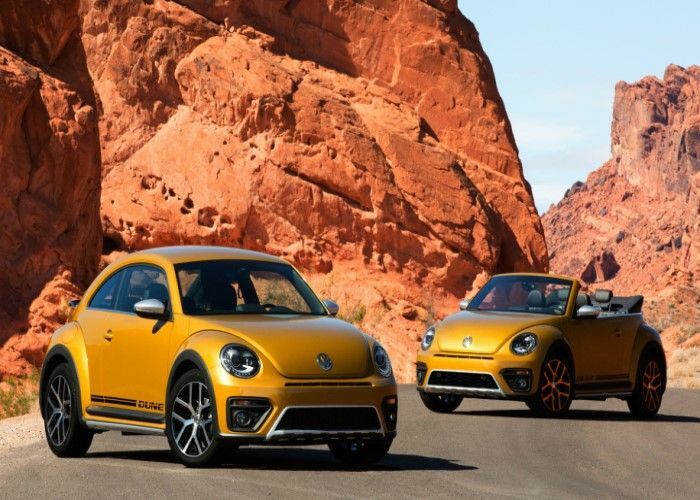 Lately, there have been rumors making the rounds that Volkswagen was going to stomp the Beetle out of its product lineup. However, that’s not true, at least in the U.S. market. According to USA Today, the current version of the venerable bubble-shaped coupe (2+2) will be around for a while. VW introduced the current generation of Beetles in 2011. Jeannine Ginivan, a spokesperson for the automaker, emphasized in an email that VW “has no plans to discontinue the car in the U.S.” Though sales have not been fantastic, they have been steady at about 15,000 per year for the last six years. It has been years since “New Beetlemania” rocked the automaker. Though introduced in Tokyo in 1995, the “New Beetle” didn’t hit its sales stride in the U.S. until 1999 when 83,400 Beetles scuttled out of dealers across the country. It marked the high point for the “New Beetle.” Sales, following the high point, settled back to their steady 15,000 per year until VW introduced the model’s next generation. Sales of the new generation reached their high point in 2012 VW delivered 43,000. Meantime, the single plant producing the “New Beetle” remains in Mexico. Formerly, VW had two plants making them, one in Mexico and the other in Brazil, where, for a time, they made an alcohol-powered version. Those plants satisfied worldwide demand, even as sales continued to shrink. Since its re-introduction in the 1990s, the Golf-based Beetle has featured a front engine. The old Beetle, which remained in production in Mexico through 2003, featured a rear engine and rear-wheel-drive. Officially, the original air-cooled Beetle classic left the U.S. market in 1978. But one version of the old Beetle survived after 2003, namely the famed Mexico City Beetle cabs. The cabs remained in service until 2012. The reason for the “sturm und drang” over the Beetle was a comment made by Frank Welsch, VW’s research and development chief, who said there would be a change in VW’s “heritage model.” He said that the Beetle would be phased out in two years. Earlier report indicates VW to phase out Beetle. Further, he noted, at this month’s Geneva Motor Show, that the upcoming electric I.D. Buzz, which points to the automaker’s iconic Microbus as its heritage, would also serve as its historical ambassador. Welsch said, with some validity, that making new Beetle generations wouldn’t work. “You can’t do it five times and have a new, new, new Beetle,” he intimated. However, it seems as if Welsch’s remark was ill-timed as the Beetle will still be scuttling around for some time to come. There may be a time when it will be fully phased out, however, until it is, the Beetle will still keep running.